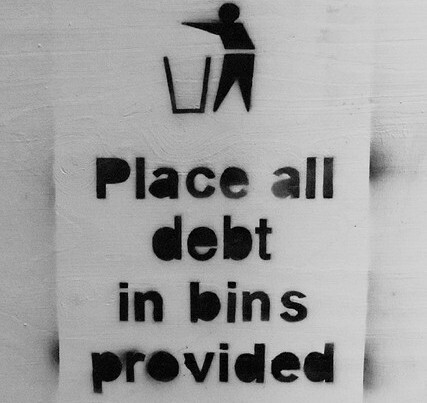 If you are having issues with debt this year then now is the time to sort it out. There are many things that you can do to help yourself get out of debt and start saving some money for your future. The first thing that you should do is to work out how much you owe and who you owe it to. This could be your monthly expenses sheet where you work out what is going out against what is coming in. Figures suggest that if your outgoing are 20% or higher of your income then you are entering the danger zone. 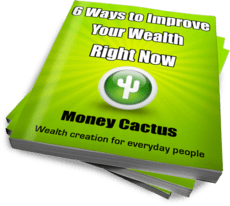 Now that you are aware of how much you are paying out of your monthly income you can draw up a budget to schedule when you are going to pay your debts and how much you can afford to pay back. Once you have done this you will need to be disciplined and stick to your budget. Don’t borrow anything else as there is no point ‘robbing Peter to pay Paul’. If you are going out somewhere on a night out or a shopping trip then take a set amount of money and leave your cards at home. This way you are not tempted to purchase things on your credit cards or take more money out of the bank while you are out. If you are out shopping or socialising then taking extra money out of an account is easy to do and then you forget about it until it is too late. Most companies, particularly the energy and utility companies allow you to pay via direct debit, some credit cards do too. This is the easy way to pay and some companies offer rewards if you use this method of payment such as a percentage discount or money back at the end of the year, etc. The added bonus of using a direct debit is that you are aware when the payment is due to come out of your account so that you check that you have enough funds in the account. If you are having difficulty with debt then perhaps you could change your credit card suppliers. This is relatively easy if your credit rating has not yet been affected by debt. Look online for cards that offer lower interest and 0% balance transfers, these cards may help you in the short term while you pay more on other debts. Switching your utility suppliers around could also save you money. Don’t just look at the cheap deals that are on offer now, think of the future and how things may go up as well as down. While chopping up your credit and store cards may be an option, these could be needed in the future for emergencies so think about it before taking drastic action. Perhaps try giving them to someone who will not give them back to you no matter how much you beg for them. If you are trying to get out of debt then you have to realise how bad your situation is before you can find ways to get yourself out of it. look for ways to change the things you do and little by little you will see the change for yourself.